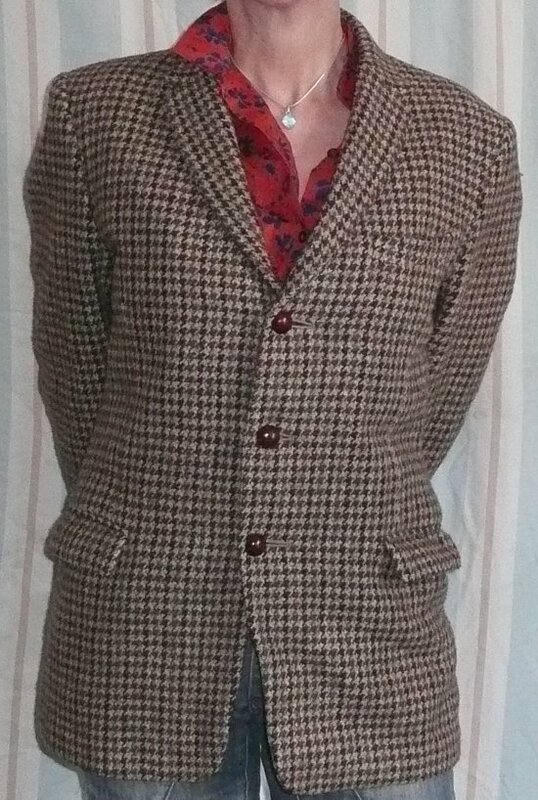 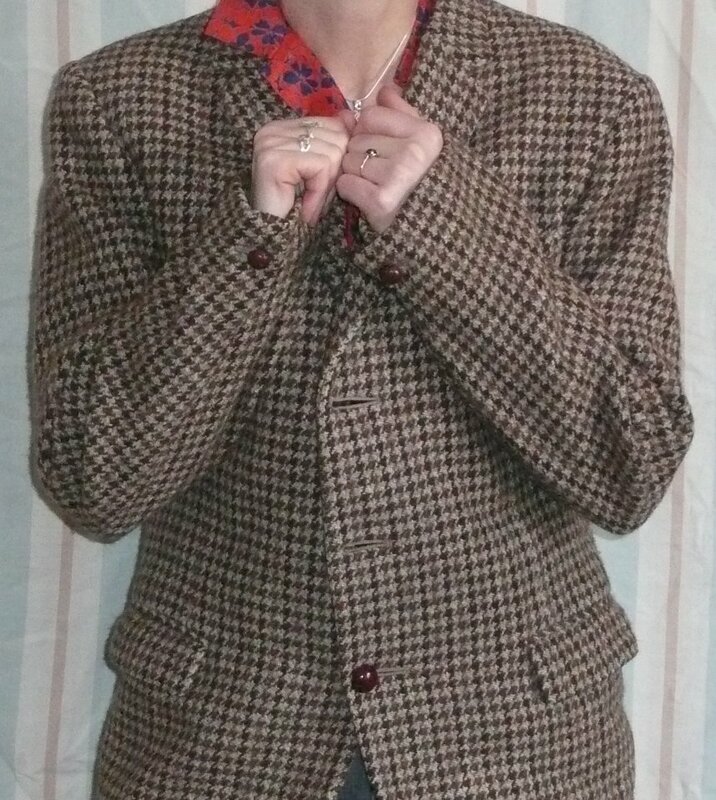 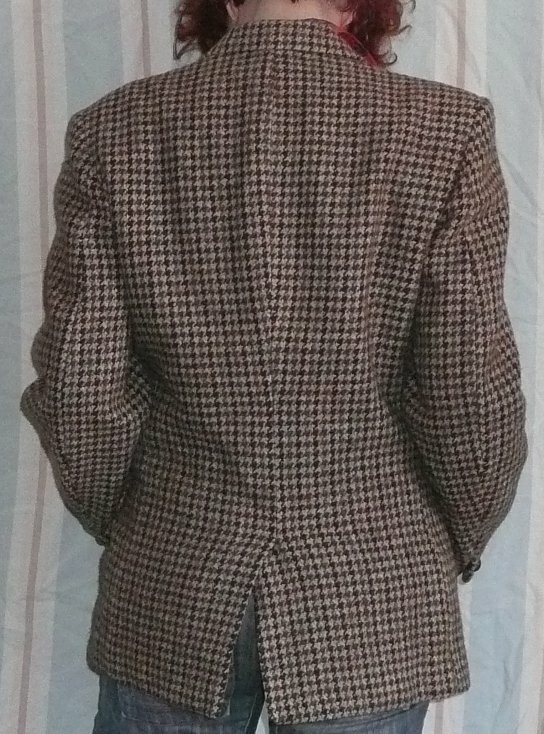 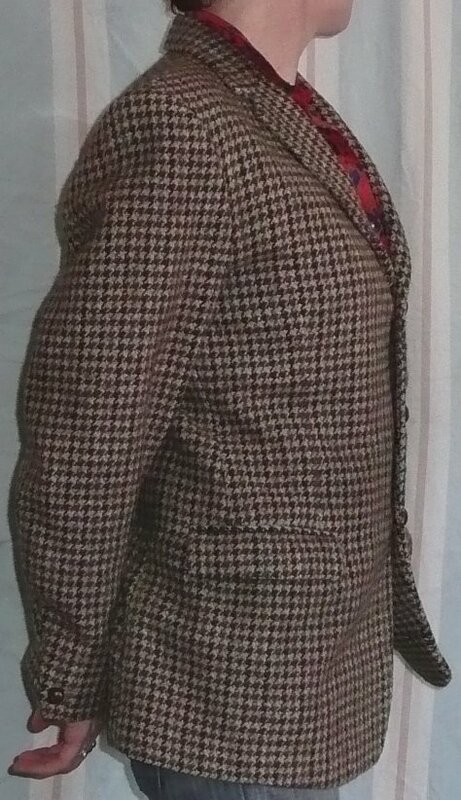 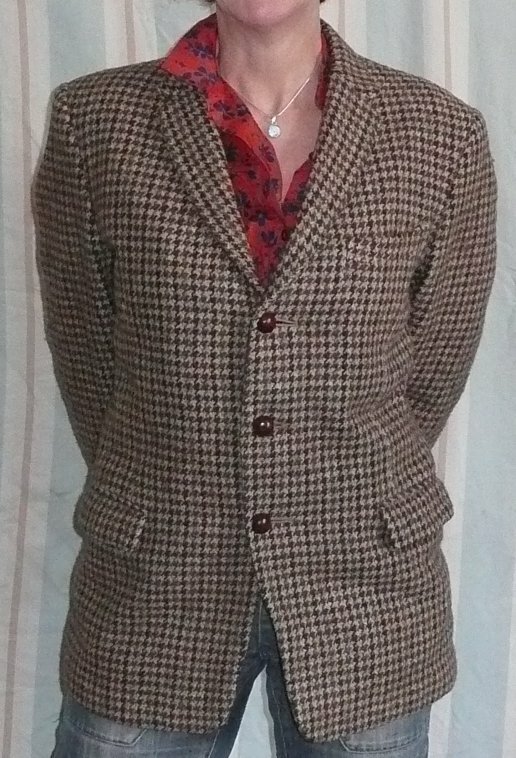 Vintage1940s/50s browns check Harris Tweed jacket. 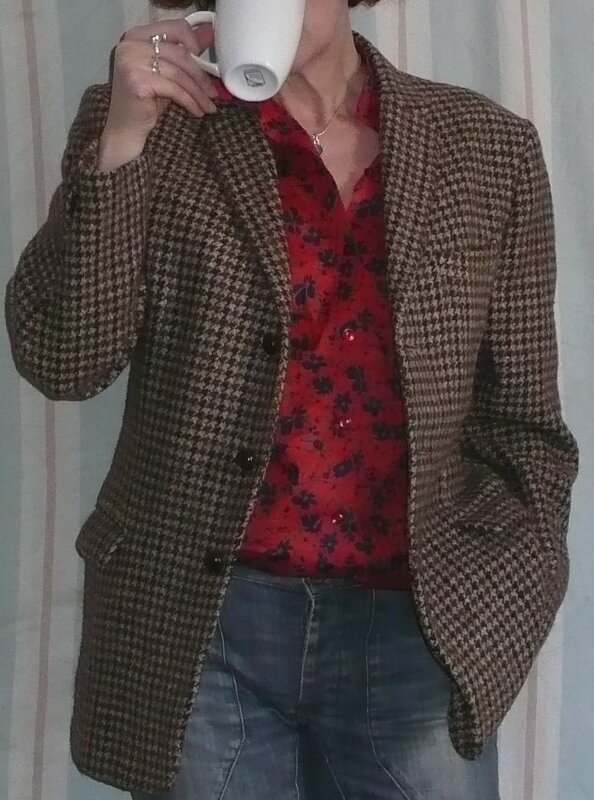 Cut for a man - but looks great on the girls! 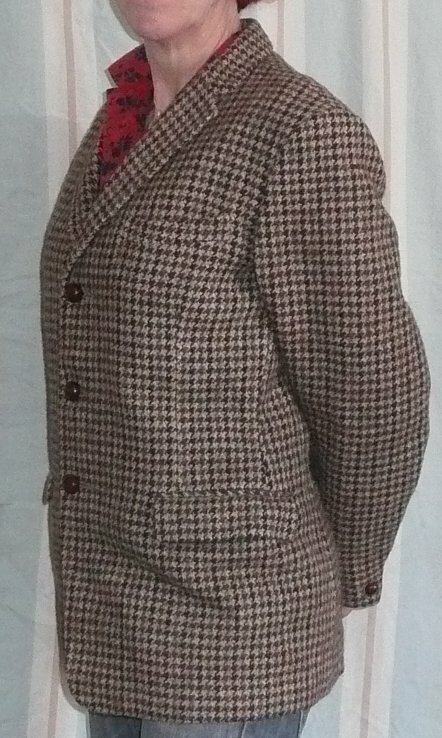 Lovely thick, top quality Harris tweed jacket in a quiet brown check, great with jeans or skirts, water- and wind-proof and never out of style! 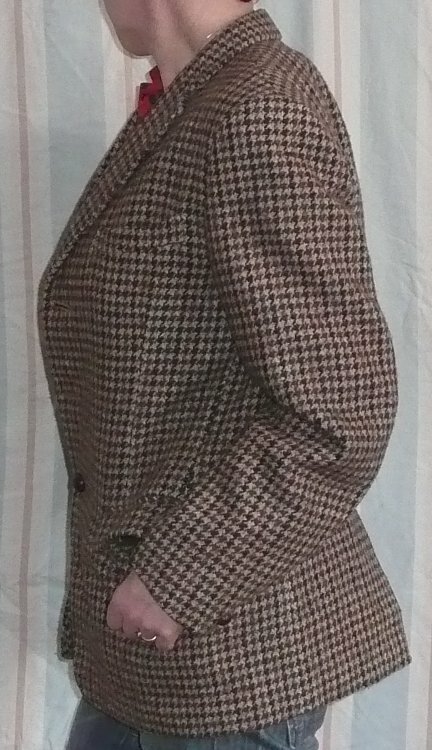 With a single vent at the back, three buttons fastening, two patch pockets and a breast pocket, it appears to be in perfect condition, with maximum gamine swagger! 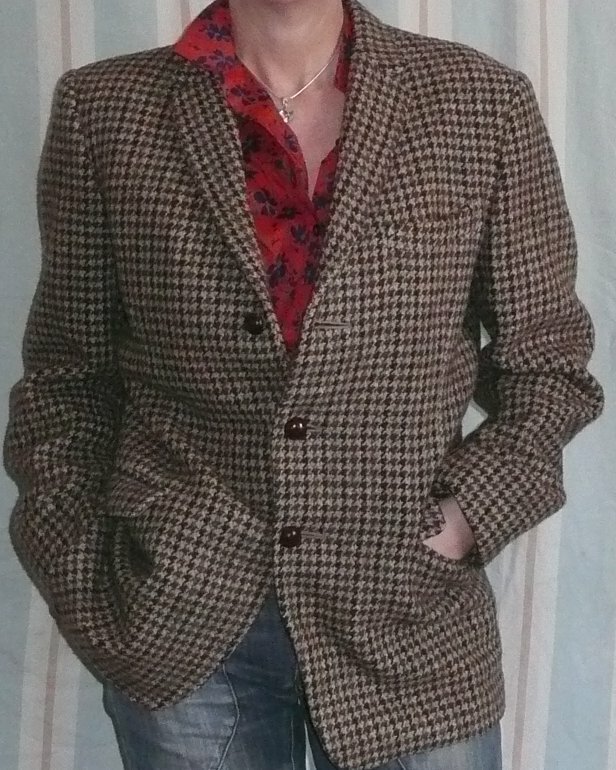 Because it's a man's jacket, it has a bit of extra length, which I particularly like; and although it is broad across the shoulders, and is shown on a size 10 - when it would better fit a 14 - it sits really well, and doesn't look over large.